Need a Empty 4 oz. Bottle With Dropper and Sprayer? :You Can Order this Item on the Shop All Products page. Of all the nutrients the human body needs to be optimally healthy, minerals are the most essential. Without the proper minerals, all other nutrients, including vitamins, can't be processed. But how do you a get a hard rock mineral into your body? The prevailing "wisdom" is to break the rocks down so small that they'll be absorbed, SORRY. The human body still recognizes the mineral as a rock. We need our minerals to enter our bodies pre-digested so we can absorb them. 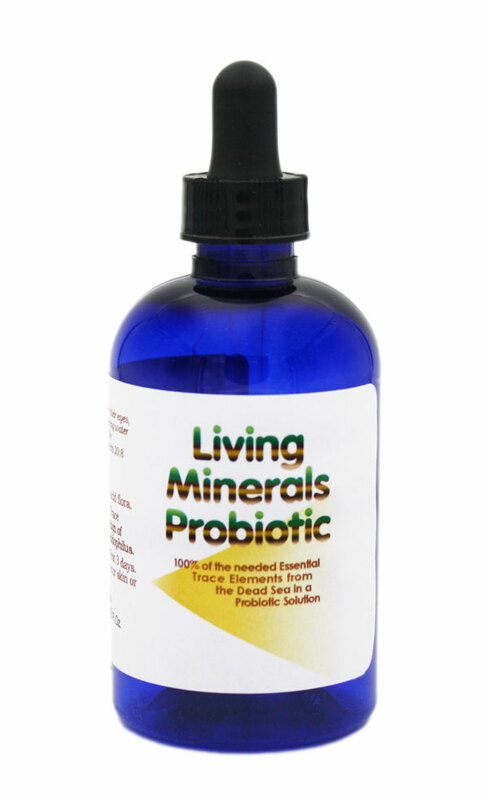 Living Minerals Probiotic™ provides pre-digested magnesium and essential trace elements from the Dead Sea to optimize your health. Ingredients: Water, Magnesium, 80 Trace Minerals from the Dead Sea in a solution of Lactobacillus Paracasei, Curvatus, Acidophilus. Application: 1-2 sprays a day or as needed. Take at bedtime. The information provided on the pages of this web site are intended as information only and are not a substitute for diagnosis and treatment by a physician or health care provider. If you have a health concern, please seek advise from a physician or health care provider specialized in your area of concern. Do not take if you are pregnant or nursing. Living Streams Mission. products have not been evaluated by the FDA and are not intended to diagnose, treat, cure, or prevent any health condition or disease. Great customer service and product! Thank you. Living Streams Probiotics can be safely kept unrefrigerated in moderate temperatures, below 105 degrees, for short periods of times (2-4 weeks). However, we recommend it be kept refrigerated where possible to maintain the potency and shelf life of the product. Copyright Living Streams Mission. Manufacturer of Living Streams Probiotics. All Rights Reserved.